The Ramblings of an Endurance Junkie: November 2014: Training Ramblings....Time to Hit some Goals! November 2014: Training Ramblings....Time to Hit some Goals! And by achieving those three goals, it would assure my upgrade to Category 2 for the 2015 season. So goal #1 was taken care of in October with a couple of wins. Now onto the other two goals! The Sportif Cross Cup series was also going to be a tight race until the very final race in December, I had missed a race while up at Providence and had lost some valuable points in the very first race due to a mechanical. November started well when I took the win at a very hilly BiketoberFest race and gained some points in the standings. The day after Biketober was just a bad day on the bike at Ed Sanders cross. Despite a front row start the legs just felt dead from the get go and rather than dig myself into a deeper hole, I cruised around for a 30th place finish.....you live to fight another day! The middle of November saw me jump up the categories and race the Elite Master's at both Schooley Mill and Rockburn in the Super 8 series. This was to serve a couple of purposes 1) Prepare for the upgrade in 2015 and 2) Push myself against more competition! Well those races didn't disappoint and even with a great crash at Schooley Mill that took me out of the top ten, I ultimately came in 13th and 18th respectively. The final two races of the month were both in the Sportif Cross Cup series and back to the Master's 3/4. Both of these races turned out to be great and I felt awesome out on the course. 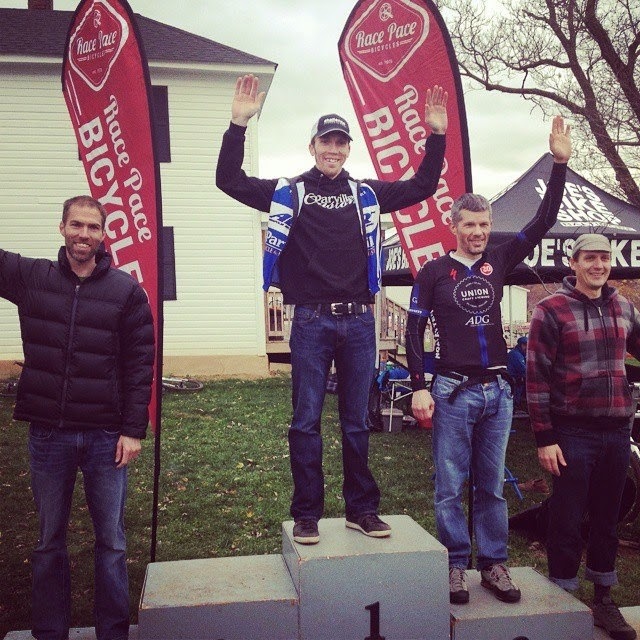 The South Germantown race was a frozen course which gradually melted as the race went on and I was able to take the win. 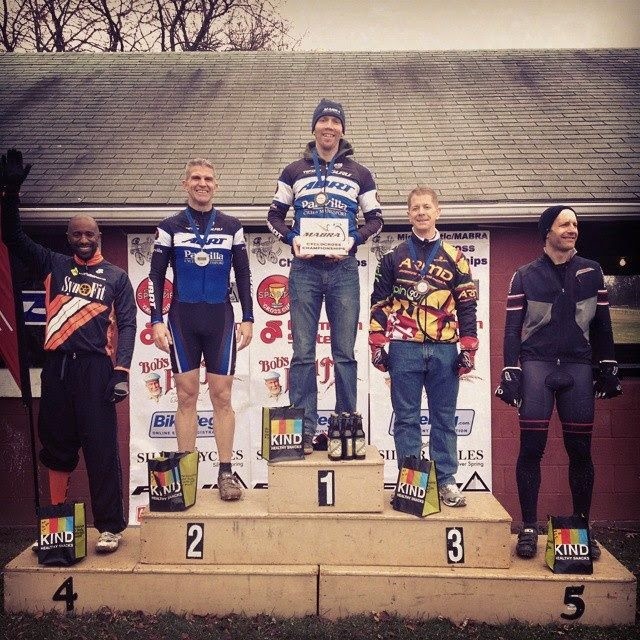 The next race was goal #3 of the season....the MABRA Championships. Last year at the championships I came in 3rd and was focused on this race for 2014. With the Thanksgiving week I was able to get a solid week of training in and loved the course having raced here the last two years. From the gun it was just go, go, go and after a lap I was able to pull away from the field to take the win by a minute (over ABRT teammate Mickey Thaxton). Goal #3 - MABRA Master's 3/4 Champion! So November included six races, three wins, two race to scout out 2015 and a complete dud in one. The 'cross season is almost over with only two races left.....Capital Cross where I will race the Elite Masters and then the final round of the Sportif Cross Cup with it all to ride for. I am now 52 points ahead in the standings and 90 points available! A soft mouthfeel surrounds this balanced and sweet cup complete with a tangerine, currant, almond and honey.